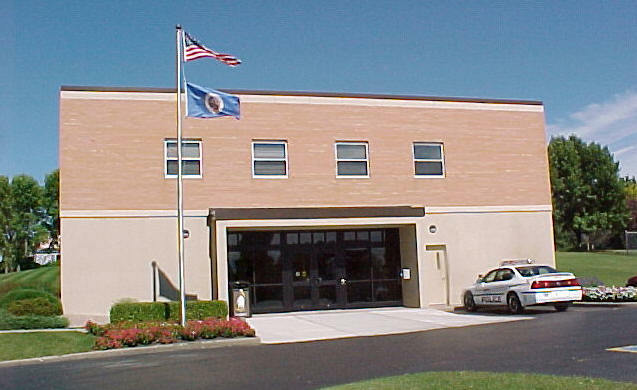 Pelican Rapids is a city in Otter Tail County. 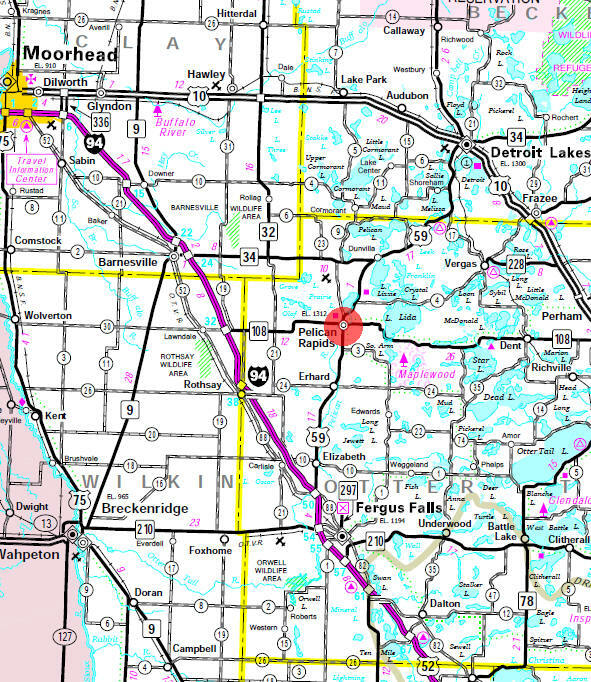 U.S. Route 59 and Minnesota State Highway 108 are two of the main routes in the city. According to the United States Census Bureau, the city has a total area of 2.63 square miles (6.81 km2), of which 2.53 square miles (6.55 km2) is land and 0.10 square miles (0.26 km2) is water. The elevation is 1,306 feet (398 m). As of the census of 2010, there were 2,464 people, 904 households, and 569 families residing in the city. 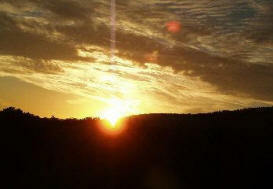 The population density was 973.9 inhabitants per square mile (376.0/km2). There were 984 housing units at an average density of 388.9 per square mile (150.2/km2). The racial makeup of the city was 74.1% White, 5.8% African American, 0.9% Native American, 3.2% Asian, 0.7% Pacific Islander, 11.6% from other races, and 3.7% from two or more races. Hispanic or Latino of any race were 31.5% of the population. There were 904 households of which 36.0% had children under the age of 18 living with them, 46.5% were married couples living together, 11.0% had a female householder with no husband present, 5.5% had a male householder with no wife present, and 37.1% were non-families. 33.0% of all households were made up of individuals and 19% had someone living alone who was 65 years of age or older. The average household size was 2.66 and the average family size was 3.42. The median age in the city was 35.4 years. 28.6% of residents were under the age of 18; 9.2% were between the ages of 18 and 24; 23.9% were from 25 to 44; 21.1% were from 45 to 64; and 17.1% were 65 years of age or older. The gender makeup of the city was 49.6% male and 50.4% female. 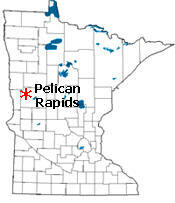 PELICAN RAPIDS, a city in sections 21, 22, 27, and 28 of Pelican Township, was platted in 1872 where the river descends with rapids over drift boulders and incorporated December 10, 1883. 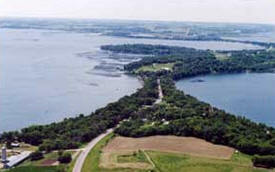 The Ojibwe gave to Lake Lida their name of the pelican, spelled Shada by Henry W. Longfellow's Song of Hiawatha, and they applied the same name to the Pelican River from this lake and Lake Lizzie to its junction with the Otter Tail River. W. G. Tuttle, considered its founder, came from New York in 1870 and built a sawmill; O. A. Edward Blyberg, first postmaster from 1872, when it was established, until 1886, first merchant, and first builder of a frame house, was born in Norway in 1850, came to the United States in 1865 and to this community in 1871; he also opened the first drugstore with Frank E. Blodgett; he died in 1921. 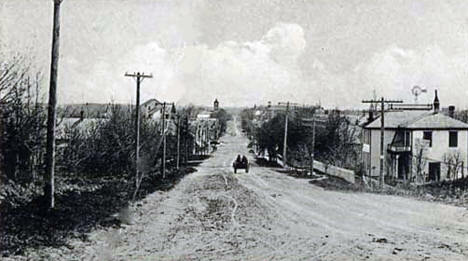 The village had a Great Northern Railway station in section 27. Our nine hole executive course was built to take advantage of the natural lay and hazards of the land and several of our greens and tees provide a spectacular view of Lake Lida. 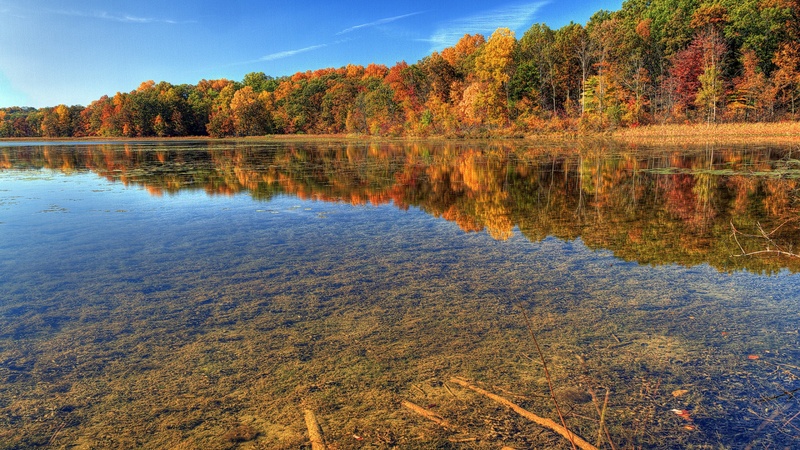 Eight major lakes and many ponds offer water lovers places to swim, fish, boat, and simply relax. 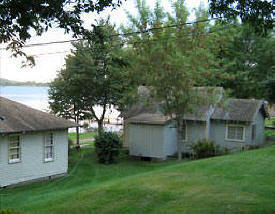 Lake Lida has a sandy beach and large picnic areas for visitors. 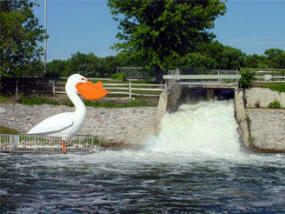 Drive along the scenic route to observe the wildlife: the park is host to 150 bird species and 50 species of mammals. The extensive trail system attracts hikers, horseback riders, and cross-country skiers. The 9-hole "Rolling Hills" course at the Rolling Hills Golf Course facility in Pelican Rapids, Minnesota features 2,740 yards of golf from the longest tees for a par of 35 . The course rating is 35 and it has a slope rating of 108. 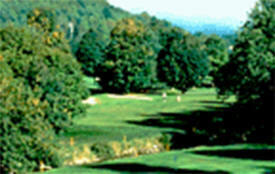 Designed by Jimmy Flem, the Rolling Hills golf course opened in 1966. 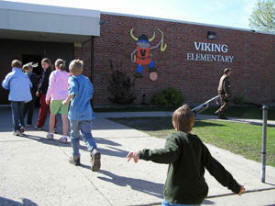 Cyrill Flem manages the course as the Owner/Manager/Superintendent. 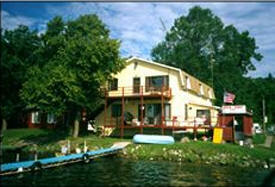 Cross Point Resort is on South Lake Lida with easy access to North Lida as well. 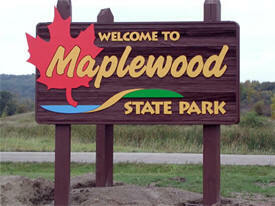 We have 48 acres which gives you plenty of room for nature hikes and sight seeing, and the view from our beach is Minnesota's beautiful Maplewood State Park. 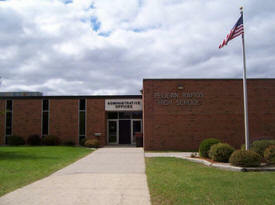 Peace and quiet surrounds us, yet we are only a few miles from Pelican Rapids. 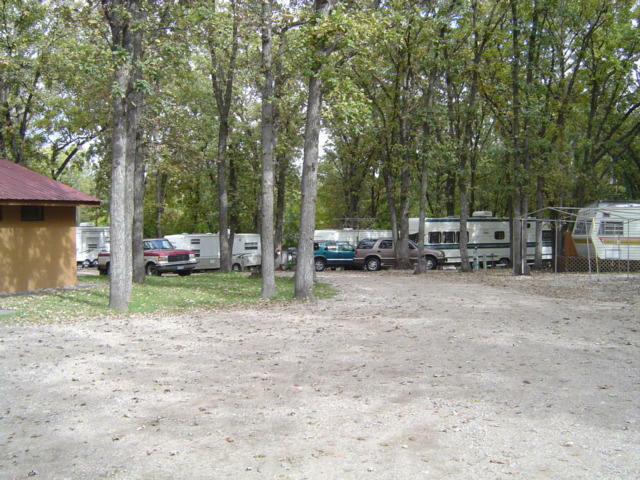 Whether you want a peaceful and quiet getaway, fishing on one of Ottertail County's top Walleye lakes, biking, golfing, or shopping, Crystal Lida Resort is the place for you! 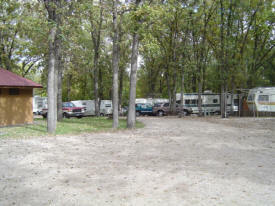 We have (3) 2-Bedroom Units...(one is an upstairs unit) and (2) 3-bedroom units on the shore of the 6,400 acre Lake Lida, just 4 miles east of Pelican Rapids, Minnesota on Hwy 108 E. There are picnic tables, grills (gas and charcoal), an open area with a fire ring with wood for bonfires, fish cleaning area, tubes, and lake swimming. We have a sandy bottom swim area with a swim raft. If you are looking for an ideal place for a family vacation, you will find such a place at Lakeside on Lida Resort. 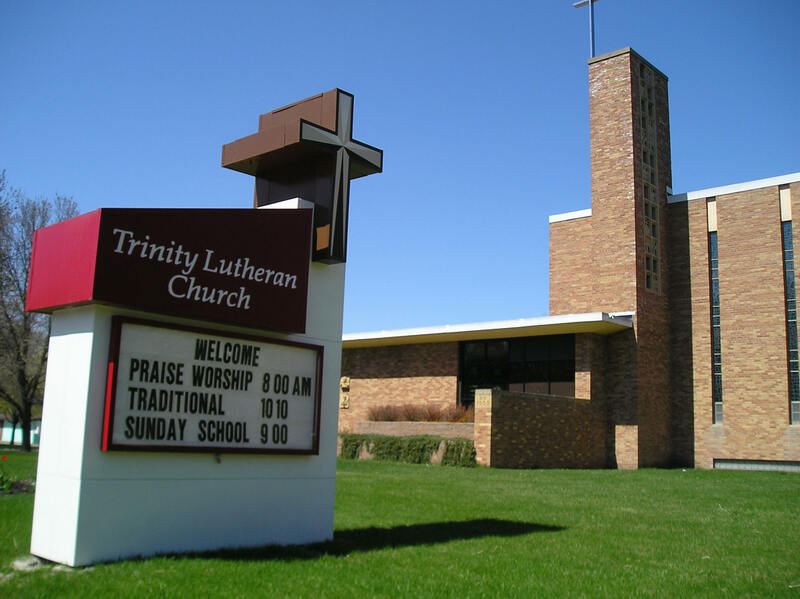 We are located just five miles east of Pelican Rapids on the west central shore of Lake Lida in Ottertail County. 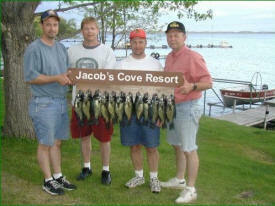 Discover a quiet, unhurried way of life at Leisure Lane Resort nestled in Pelican Rapids, Minnesota on Prairie Lake. 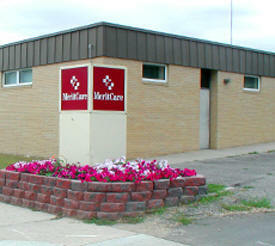 Leisure Lane Resort offers a multitude of activities and lots of ways to relax. We are a cozy family resort that emphasizes discovery of the outdoors and the staple bait, we have a small store with groceries, a library and a restaurant that serves hamburgers. We offer fifteen clean and attractive housekeeping cottages on spacious, well-kept grounds. 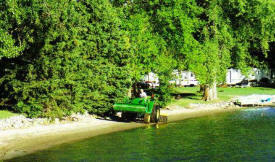 Solinger's is a family resort with clean, sandy swimming and play areas, boats, fishing, and peaceful surroundings. Located on Lake Lida in Otter Tail County, four miles east of Pelican Rapids, Minnesota. 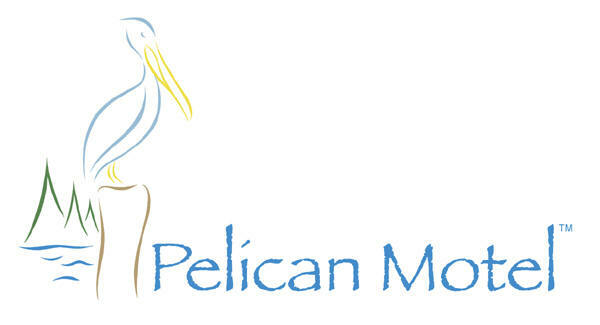 Pelican Hills RV Park with 175 sites is primarily a Seasonal Campground and RV Park. A limited number of sites are available by the Day, Week or Month. Call for availability.